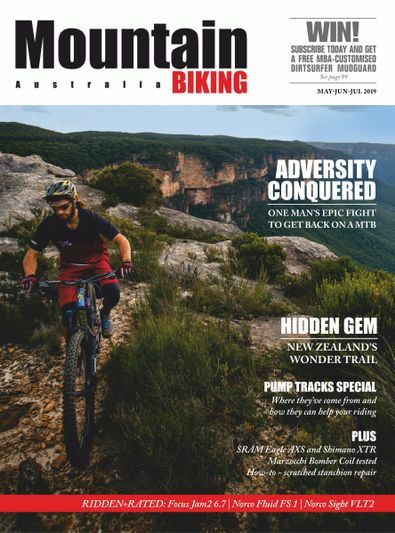 Mountain Biking Australia is the ideal magazine for enduro, trail-riding and cross-country mountain bikers. Written and produced by experienced riders who love the sport and know what they're on about, Mountain Biking Australia features detailed, unbiased and critical analysis of new bikes, parts, clothing and nutrition. The five in-depth bike tests in each issue call a spade a spade and give great insight beyond the manufacturers' marketing spin. Brilliant photography gets you up close and personal with the all new gear. There are mechanical ?how-to? tips to help you maintain your gear, and technical riding pointers to help you ride better. You'll also find loads of information about coming events how to train and prepare for them, and suggestions for where to ride. Mountain Biking Australia is a quarterly title, going on sale around the start of January, April, August and October. Be the first person to tell us what you think about Mountain Biking Australia (AU) and you'll save $5 on your next purchase!